Wake Forest hits the road to take on defending national champion Clemson on Saturday, Oct. 7. Kickoff is set for 12:00 p.m. and will be broadcast nationally on ESPN2. Beth Mowins, Anthony Becht, and Rocky Boiman will have the call of Saturday’s game. Saturday’s game can also be heard on the Wake Forest Sports Network. Stan Cotten and Lary Sorensen have the call with Dave Goren reporting from the sidelines. Wake Forest dropped to 4-1 (1-1 ACC) with a 26-19 defeat at home to Florida State on Saturday, Sept. 30. The defense caused 17 tackles for loss against the Seminoles, one shy of the program record of 18. Mike Weaver is now 10-for-10 on field goal attempts this season and has made his last 12 attempts dating back to last season, two shy of matching the program record of 14. Redshirt freshman Greg Dortch was named the ACC Rookie of the Week for his performance against the Seminoles. Dortch had 10 catches for 110 yards, four carries for seven yards, four punt returns for 48 yards and two kickoff returns for 31 yards. On the day, Dortch finished with 20 touches and 196 all-purpose yards. Clemson improved to 5-0 overall and 3-0 in the ACC with a 31-17 road win over Virginia Tech last time out and enters Saturday’s contest ranked second nationally. Dabo Swinney is in his ninth season at the helm of the Tigers, leading the team to a 94-28 record during his time in Clemson. Clemson leads the all-time series, 64-17-1, and has claimed the last eight meetings. Wake Forest’s last win against the Tigers came at home, a 12-7 victory on Oct. 9, 2008. Saturday’s game marks the 11th time in history that Wake Forest has faced the defending national champion. Wake Forest last met defending national champion Florida State in 2014, falling 43-3 in Tallahassee. 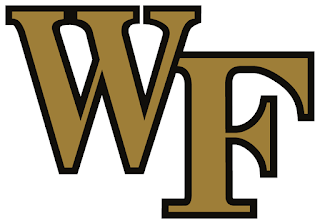 Wake Forest also fell to Florida State in 2000 and 1994. The Deacons lost to Georgia Tech in 1991. In 1982, Wake Forest dropped a 21-17 decision to defending national champion Clemson in Tokyo. Wake Forest dropped games to Auburn in 1958 and Army in 1945. Wake Forest did forge a 13-13 tie with defending national champion Maryland in Winston-Salem in 1954. The Tigers and Deacons share one common opponent this season in Boston College. Wake Forest defeated the Eagles 34-10 on Sept. 9 in Chestnut Hill. Clemson topped Boston College 34-7 on Sept. 23 at Death Valley. After playing No. 25 Florida State (coaches poll) this past week, Wake Forest will face No. 2 Clemson this weekend. This marks the third consecutive season and fourth time in the last five years that the Deacons have faced ranked opponents in back-to-back weeks. In 2016, the Deacons faced No. 5 Louisville and No. 5 Clemson in consecutive weeks. In 2015, Wake Forest visited No. 6 Notre Dame a week before traveling to No. 1 Clemson. In 2013, the Deacons hosted No. 24 Duke a week after entertaining No. 3 Florida State. All-time, Wake Forest is 22-132-1 against ranked opponents. The highest-rated team Wake Forest has defeated was No. 4 Tennessee on Oct. 26, 1946.